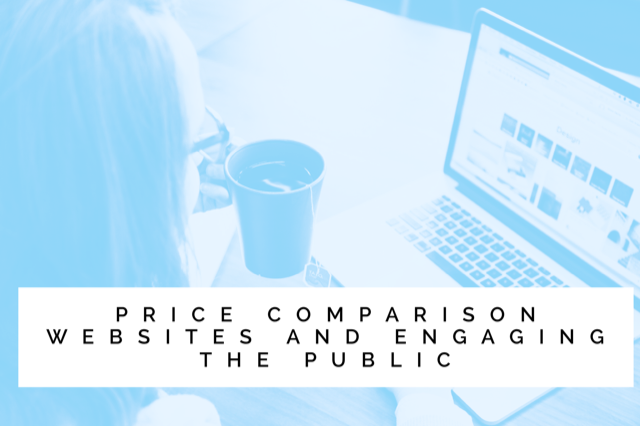 Phil Jeynes from UnderwriteMe looks at Price Comparison Websites, how they've engaged the public and the role they play in protection market growth. About 10 years ago I wrote a column in a trade press publication about price comparison websites entering the life insurance market. I remember I was very pleased with the title, something like “Rise of the Aggregators”, which sounded to me a bit like a sci-fi film and captured the mood in the industry at that time. Most people thought that PCWs were a big problem: they didn’t offer anything beyond life insurance, so CIC and IP were ignored, they had limited information about the policy details, so customers might buy a product which lacked added benefits they might otherwise have valued and, most troublingly, they ranked exclusively on price, even sacrificing elements of commission to make their cheapest premium even cheaper than the cheapest premium their cheap competitor could give – a catastrophic race to the bottom was inevitable. A decade or more later, the mood has changed, and many opinion pieces written at the beginning of the PCW era are hanging around like Trump’s old tweets, contradicting everything he now espouses to be true. Price Comparison Websites have done, between them, what we as the established industry struggled to do for so long. They have engaged the public. They realised, through general insurance first, that what most customers want is a thorough view of the market from which they can either make a fast purchase or further refine their search. Customers want to do this wherever suits them, via whichever online medium they choose, whenever they have the time spare. Crucially, PCWs also recognised that simply having this service available isn’t enough – it needs to be marketed and marketed hard. The budgets they plough into advertising insurance are vast – far in excess of what any insurer would countenance. This isn’t a mud at the wall exercise either, every click, swipe, quote and query is monitored and reviewed; is one up on last week? Is a metric moving in the wrong direction? It’s a constant, daily obsession which turns cash spent on advertising into policies sold. It would be quite wrong to attribute all growth on our market to this phenomenon – the raw numbers just don’t back that up. But I would contend it is a major contributor. What we can’t track is where each new customer, be they bank, broker, IFA customer or mortgage client, starts their journey to buying cover. If we could, I’d wager a huge proportion visited their favourite PCW before committing to buy. This is one of the reasons why the smart incumbents in life insurance have lately partnered with the PCWs, rather than seeing them as competitors. The resultant combination of digital ease and holistic financial planning is surely the direction the world of financial services will continue to evolve. There’s still huge potential for further growth. In terms of product line, life insurance is well down the priority list for the PCWs, behind car, home and travel which are more established and profitable. One of the sticking points with boosting investment in the life sector has been our disjointed and antiquated processes, requiring customers to complete the bulk of the transaction on an insurer’s website, away from the slick, safe space of the PCW. Now that we’re moving into a genuine “buy now” era, PCWs are keen to grow their protection businesses, which will no doubt lead to more product choice, greater ability to compare added benefits and further partnerships with advice firms, who can offer the added support a great many customers need. It’ll be interesting to see, in another decade or so, what real growth in our market looks like.